Our workshops in Via Molo Giano manufacture aluminium masts. From small 7.5m sloops(min. section available 1.6/kg/mt) to large sailing yachts of over 40 metres (we have already supplied for 3 yachts of this size). 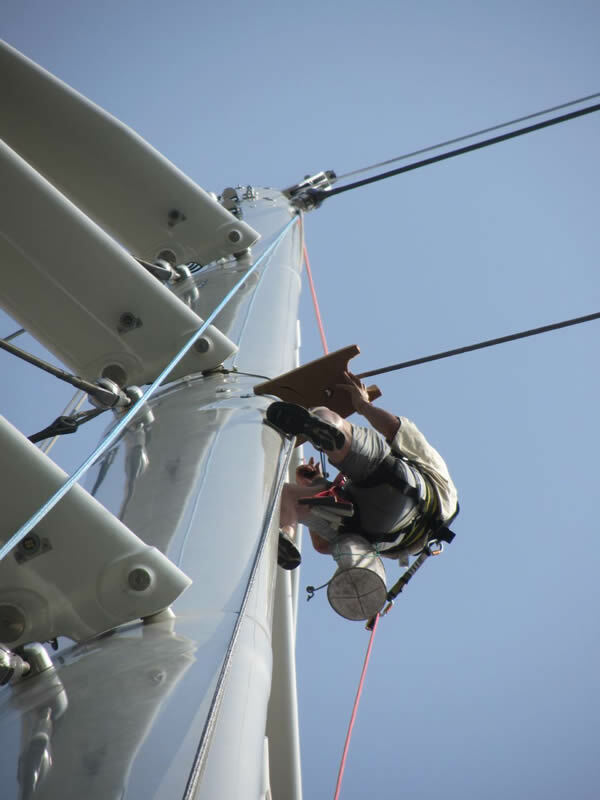 We can supply masts with any type of sail plane. Ahead mast, fractional with special planes, masts for catamarans. Our profiles can be coated or painted according to the clients specifications. In order to have a quotation it is necessary to send the details as outlined in the data sheet on our website. It is important to send the details of the sail plan along with the technical details of the vessel.